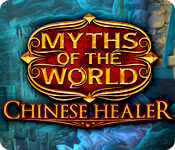 Myths of the World: Chinese Healer is rated 4.1 out of 5 by 36. Rated 5 out of 5 by Emerald75 from One of the best HO games I've played in awhile I've played a lot of these adventure - HO games - and this one might be my favorite - so much so I'm writing a review (which I've never done before...) - the "world" was beautiful, the puzzles not too frustrating and lots of HOs to enjoy. I also really liked the music - it was fun to escape into and I was sad when it ended! Rated 5 out of 5 by tutortime from Excellent Game ! Very interesting graphics and story line. I wish I had purchased the CC edition. Will purchase from this developer again. Rated 5 out of 5 by Mazeo from A Great Game I can perhaps understand that those who want a real "brain teaser" with well hidden objects might find this game a bit too easy, but I found this game to be excellent. Unlike with many other games I've tried, I found the clues to "make sense" and the graphics were really good. I bought this game as a "half price special" and I'm really glad I did because it was great value. Rated 5 out of 5 by catbag8717 from Fun and Unique, but not really Chinese! I've been waiting for months to buy this game, and finally got the chance to due to the Christmas sales. I must say, it was well worth the wait! This is a good game, and I can see why people praise it so highly. The story is great. It starts off ominously, and you know straight away that something evil is going on. Then, the game begins, and you are called to the palace of the Emperor by his brother Lei, who is very worried. He tells you that the Emperor's son, Jinhai, has been poisoned and asks you to heal him. At first, this seems straightforward: All you have to do is heal him and go home, right? WRONG! The story takes a great twist at the end of the demo that leaves you on a cliffhanger. After the demo, the story takes a much lighter turn, and you are sent to someone known as The Wise One, a blue dragon, who will tell you how to defeat the villain. After speaking to him, you must find the ritual that will ultimately heal Jinhai before it is too late... I have to say, what really impressed me about this story was the villain. The villain was one of the best that I've ever seen in any game to date. The villain's story was told during the beginning of the game, so you can clearly understand their motives, but what made the villain so exciting was that they did not pop up during every scene, but rather, you encountered them only a few times. I was always thinking “How long until I bump in to them?” or “when will I see them next?” It was just awesome. Credit to the developer for the genius to create such an amazing villain. Other than that, the story is quite nice, and does end conclusively, so there's no need for the bonus chapter. The action is mostly in the first hour, and then it gets quieter. However, I still found the story enjoyable. The gameplay is great too. I had quite a lot of fun with this game. The HOS were standard junkpile, with a couple of extra-step objects in each one. In each HOS, you also had the option of switching to a game of Mahjong. The HOS were not too difficult, but I enjoyed them quite a lot. There were quite a few HOS in the game, but not too many that it became annoying. I think there was the right amount in the game. The puzzles were good too, but a little bit too challenging for me personally. That didn't stop them being fun. I enjoyed attempting each one of them. In this game, there is something new and awesome called Healer's Kit. It is used for mixing things in to potions/dust, etc. Whenever there is an item found, you place it in the healers kit, and a fun minigame begins. This is not a puzzle, as there is no challenge to it, but it's still a great addition. I loved it every time I got to use it. Other than the new feature, this is your standard HOPA. The graphics are pretty good. They are well-drawn and very detailed. Everything is clear, especially the character designs. The only issue I have is with things not being accurate to the setting. It is set in China, but the girl, Bo, is wearing a kimono, which is Japanese. I have some issues with the voice-overs too. Most of them are accurate, but Bo's voice is clearly American, which kind of annoyed me. The voice-over for Bo repeatedly mispronounced Jinhai ( which should be pronounced Jin-high) as Jin-hey or Jinnae, which was terrible. If they're going to create a Chinese game, they should at least make sure the names are pronounced the way the Chinese would pronounce them. FEATURES 3 modes of difficulty: Casual, Challenging and Insane. I played Casual. Hint/Skip- both recharge relatively fast for Casual. Hint is useful outside HOS, and also acts as a portal, as it can teleport you to the location where you need to be. Diary- used to keep track of events. Not used too often, but is used enough. Map- interactive and lets you know where there is a task to be completed. Very helpful. Healer's Kit- This is very fun. It is used somewhere between 5-10 times in the game. When an item needs to be mixed, a minigame begins. Overall, I was extremely pleased with this game. It's well deserving of its praise, and could seriously be given game of the year. I think the SE is the better buy, because in the CE, you only miss out on achievements/colletibles and the usual BC stuff, but I think you'll be happy with either game. It gets a well deserved 5 from me. I was going to give it a 4, but I don't think my issues with the character of Bo should take a star away from this game. I think I should also mention the Closing Credits. They are very entertaining, and not the usual boring stuff. Don't miss them! ON THE GAME LENGTH The game was about 3 hours on Casual mode, which is my ideal game length. Rated 5 out of 5 by catdroid from I loved this game What a great game. Yes, it is easy but sometimes it's nice to relax and have fun!! Long playing time Great pretty graphics Appropriate music A good mix of HO'S & puzzles. Ho's played twice Lots of locations Not a lot of running back and forth Interactive map that lets you know where there is something to do and jump locations Hint button is directional Hint & skip buttons charge really fast I had loads of fun with this game, great for a beginner Even though there is good versus evil, this is not a dark game. Kudo's to Eipix. 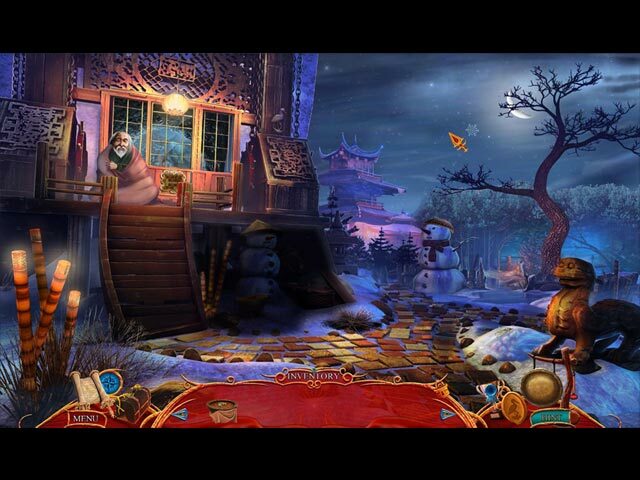 Rated 5 out of 5 by Kirland from Mystical and Intriguing Game A tranquil and beautiful story. What fabulous time playing this game. The music soothing, scenes gorgeous and gameplay smooth and linear. Puzzles and HO's were spaced well throughout the game. 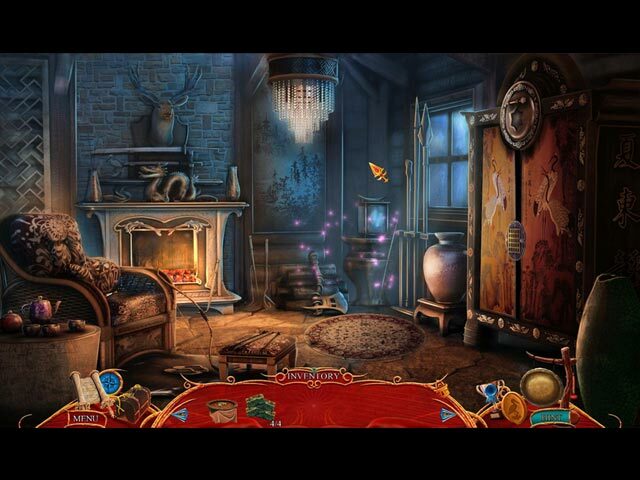 Hidden Objects were easy to find and one did not have to spend twenty minutes and binoculars to find tiny objects . Very well done. Could have been a CE for sure. Thanks Big Fish and Dev's for a fun and relaxing time playing Myths of the World: Chinese Healer. Rated 5 out of 5 by siladan from Almost perfect! I love this game. It's almost perfect. There is a wonderful balance of puzzles and HOs, and not too much dialogue or cut scenes. It could have been more challenging, perhaps, but I chose to do casual mode. There are two, more difficult, modes to chose from, so I could've had harder gameplay if I so desired. The scenes were lovely, the HOs were legible, the puzzles could be skipped (a must! ), the music was pleasant and the voice-overs were not too bad. This is definitely a keeper, as I know I will play it again. I am looking forward to the next installment of Myths of the World. Hurry please! Rated 5 out of 5 by denniann2 from a great game i don't usually like the asian games for some reason but i did like this one. got stuck a couple of times and had to cheat. hint/skip charge fairly fast. played casual, low sound-asian theme. you re called in to heal an emperor's son and somehow turn him to stone instead. the emperor's brother is trying to have you blamed for it and you have to figure out how to fix the son before the emperor gets back from his travels and how to escape with your life. Rated 5 out of 5 by RevKellie from Graphics and Story - Wow. The opening makes it seem this is the first of a series and I certainly hope so. 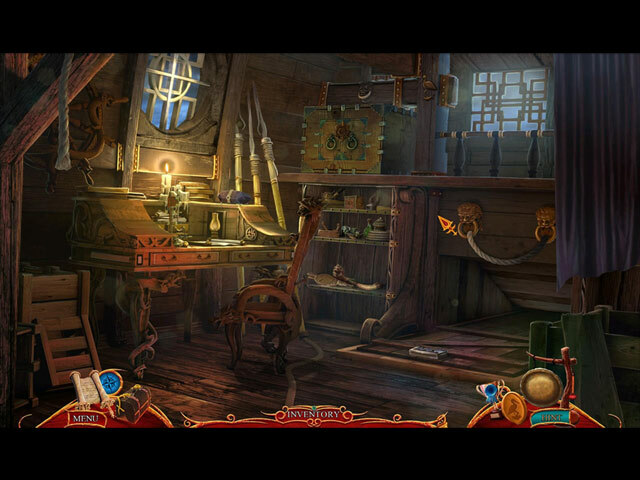 Amazing graphics, fast paced story, fun puzzles make this a total package. Pros: Movie quality cutaways, Good voice-overs, beautiful graphics, good story (trite but twisty), intuitive objects and decisions. Generous hint (not really needed). Cons: puzzles are easy, Seems a little short - but that's because its a good game. Ending abrupt.